Dr. Fowler has served as the Director of Nurse Practitioner Programs since June 15, 2017 and Coordinator of the Adult-Gerontology Acute Care Nurse Practitioner (AGACNP) concentration since January 6, 2016. She began her career as a Nursing Educator January of 2008 at LSU Health Sciences Center School of Nursing. She continues to teach in both the undergraduate and graduate programs; and maintains active practice as a board certified Adult-Gerontology Acute Care Nurse Practitioner on Hospital Medicine and Emergency Medicine teams. Dr. Fowler is nationally recognized in the American Association of Critical-care Nurses' Circle of Excellence 2017 class for her contributions to the development of critical care nurses. She has been locally recognized with the student-nominated 2014 Nurse Caring award, multiple student-nominated Daisy awards and nominations over the years, and as a Great 100 nurse in the class of 2012. Dr. Fowler also serves her academic and professional communities on multiple School of Nursing committees and professional nursing, medical, and nursing education organizations as an officer. Dr. Fowler takes pride in mentoring new faculty in the role of a nursing educator and new students into the roles of Registered Nurse and Nurse Practitioner. She also serves the community-at-large through multiple public health events as Director of the Health ministry within her church. 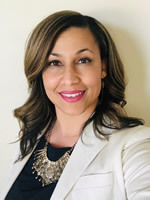 This role placed her within the network of Louisiana Healthy Communities Coalition for Region 9, and facilitates the connection of public health resources to faith-based communities and underserved populations. She is married with three children and has lived and worked professionally in the metropolitan New Orleans and Baton Rouge areas for more than 20 years. Fowler, L., Landry, J., and Nunn, M. (2019). Nurse Practitioners Improving Emergency Department Quality and Patient Outcomes. Critical Care Clinics of North America, 32. doi: 10.1016/j.cnc.2019.02.010. Fowler, L. (2019). Nursing Management for Patients Post-operative Cardiac Device Insertion & Minimally Invasive Procedures. Crit Care Nurs Clin N Am, 31(1):65-76. doi: 10.1016/j.cnc.2018.11.007. Tartavoulle, T. & Fowler, L. (2018). Cardiogenic Shock in the Septic Patient: Early Identification and Evidence-Based Management. Critical Care Clinics, 30:379-387. doi: 10.1016/j.cnc.2018.02.006. Fowler, L. & Landry, J. (2018). Early Identification and Management of the Septic Patient in the Emergency Department. Critical Care Clinics, 30:407-414. doi: 10.1016/j.cnc.2018.05.009. Fowler, L. & Lee, S. (2017). Antibiotic trends amid multi-resistant gram negative infections in intensive care units. Critical Care Clinics, 29(1):111-118. doi: 10.1016/j.cnc.2016.09.010. Lee, S., Divens, L., & Fowler, L. (2017). The role of liver function in the setting of cirrhosis secondary to chronic infection and critical illness. Critical Care Clinics, 29(1):37-50. doi: 10.1016/j.cnc.2016.09.006. Tartavoulle, T., Manning, J., & Fowler, L. (2013). The Effectiveness of Bed Position versus Chair Position on Reliability and Validity of Cardiac Index in Patients with a Pulmonary Artery Catheter: A Systematic Review Protocol. The JBI Database of Systematic Reviews and Implementation Reports. 11(8). Retrieved from http://www.joannabriggslibrary.org/jbilibrary/index.php/jbisrir. Tartavoulle, T., Manning, J., & Fowler, L. (2011). Smoothing the transition from bedside to classroom. American Nurse Today 6(5). Fowler, L. (Dec 2016 Issue). Preparing NP Students with Point-of-Care Ultrasound in Nursing School. The Pelican News. Retrievable at: https://www.nursingald.com/publications/1434. Fowler, L. (2016). Antiplatelet Therapy: Implications for Patient Management. Chambers, Suzanne (edited). Brockton, MA: Western Schools. Fowler, L. (2016). Oral Anticoagulant Therapy: Implications for Patient Management. Chambers, Suzanne (edited). Brockton, MA: Western Schools.